In order to become successful, you will need to analyze the penny stock market from the ground up. Before you go off and start trading and buy penny stocks, you need to know the definition of what a penny stock is. 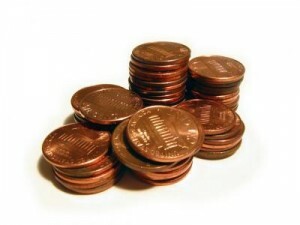 Some investors mistakenly assume that a penny stock is a stock that trades for a cent. While there are many stocks that trade for a cent and when traded correctly can yield vast profits, the definition is broader. Some investors consider any stock trading under $5 to be a penny stocks. Those investors seek to avoid stocks they deem to be highly risky. By labelling any stock trading under $5 a penny stock they help separate themselves from what they see as highly risky securities. While both definitions are accurate for our purposes we will define a penny stock as any company trading on the over the counter market. Our definition of a penny stock will eliminate stocks trading under a dollar on the New York Stock Exchange or stocks trading for .50 on the NASDAQ Small Cap market. The reason we will not consider those stocks to be penny stocks is because more often than not a stock trading for under a dollar on one of the larger exchanges will soon be delisted due to dire troubles in its business. A stock trading under a dollar on a major exchange most likely once traded way above that price and now due to either mismanagement or external factors is in financial troubles and headed for bankruptcy. While there is an art to investing in those companies, it is said that it is more profitable to invest in companies that are still awaiting their future than companies which have already experienced what the future holds for them and are now in decline. The market cap is not relevant at this point. At this point our only definition of a penny stock is a stock which trades either on the over the counter market or on the pinksheets. Why would we ignore the market cap when defining a penny stock? If you plan to trade in penny stocks, you must pay attention to the penny stock brokers commissions and transactions fees since they will eat away at your returns. For over 25 years, Scottrade has been the leader in the stock brokerage industry – and it’s for a reason. Scottrade provides a wide range of investment products to meet your investment needs and financial goals. Their fee per stock trade may be higher compared to others, but their service and support is great for beginners and have local branches you can visit to receive help and guidance to get you started. Open your Scottrade account today. TradeKing is an online broker providing low flat trading fees with no minimum account requirements and no hidden fees. TradeKing online brokerage accounts offer easy-to-use investment tools with low flat trading fees and no minimum account requirements. Open a trading account with TradeKing. There are many of the best penny stocks with share prices in the dollar range and a market cap of over a few hundred million dollars, sometimes even equalling a mid cap in the price of their market valuation. Clearly those companies should not be considered penny stocks any longer? If they are worth more money than an established company trading on the NASDAQ then they really are not penny stocks any longer? The answer depends on the company and on the market valuation for that type of business. Qwoter Stock College will discuss in another article how to understand and come up with a fair market cap for a company. But for now we will ignore the market cap and focus on the market the stock trades on. The only other parameter we will use to define a penny stock is that it must be trading under a dollar at the point we buy it. We might choose to hold a stock as it climbs above a $1, but we will never consider a stock over a $1 to be a penny stock for our purposes.